4) Selected Marxist texts are given forced "readings" and then other interpretations are dismissed as "historicist". An Althusserian once said to the author, "There is no such thing as history; there are only books on shelves", which left her speechless. 1) It's essential to delve into the "difficult matters" and "the self inflicted tragedies of the communist movement" ... she disagrees totally with "the premises underlying the tradition of sacrificing truth to 'partisanship', in the name of which so many crimes against science and against humanity have been committed"
3) She disagrees with the tendency of those who draw a sharp line b/w "creative" Marxists - Marx, Lukacs, Korsch and Gramsci - on one side and "dogmatic" Marxists - Engels, Lenin, Stalin - on the other side. Good and bad philosophers can be found on both sides of this divide. She likes Gramsci and Caudwell. 4) She is an unrepentant historicist - we cannot separate human thought from the context of human thinking without thoroughly distorting what it is. She adds in a footnote that such interpretations are not in opposition to structural, logical or systematic explanations. 5) Rather than an "illusion of the epoch" she believes that however problematic Marxism remains (quoting Sartre) the unsurpassed philosophy of our time because of such features as its comprehensiveness, coherence and orientation towards science. IF all children are to learn to read to a good level of proficiency in their first few years of schooling, we need a clear plan to ensure that no child falls through the net. Such a plan must be both effective and cost-effective. It has become increasingly accepted in recent years that a three-tier, phased model of reading instruction, known as Response to Intervention (RtI), is the best means of achieving this. The RtI model is predicated upon a first tier of exemplary initial instruction in reading for all students during their first year of schooling (kindergarten in NSW). This first tier of instruction should essentially comprise the best scientific evidence-based instruction. To the layman this sounds obvious, but in many Australian schools a less effective implicit model of reading instruction has held sway for the past few decades. Much of this approach is highly desirable as a bedrock upon which to build, and it may even be enough for a minority of children, but most will need direct, explicit and systematic instruction in the five pillars of teaching reading: phonological awareness, phonics, fluency, vocabulary and comprehension. What is often lacking in initial reading instruction, in particular, is effective, specific instruction in what is known as synthetic phonics; how to relate letters to sounds and to blend letter sounds into words. Even when afforded such exemplary instruction, there will always be some children who take longer than others to catch on. It is important to identify these low-progress readers as early as possible so that they do not fall too far behind their peers as their difficulties compound. Children who do not learn to read in the first few years of schooling are typically destined to a school career of educational failure, because reading underpins almost all subsequent learning. A safe strategy is to target students who fall into the bottom 25 per cent of the population for remedial reading intervention, as soon as their difficulties become apparent. Students' progress should be checked regularly, in order to provide intervention for those who need it from the beginning of Year 1, at the very latest. The RtI model recommends that struggling readers, the low-progress readers who comprise the bottom 25 per cent, should be offered more intensive Tier-2 intervention in small groups of three to four students. Again the instruction provided to these students should be based on what the scientific research evidence has shown to be most effective: essentially the same five big ideas of reading instruction but more intensive and more individualised. In small groups, teachers are able to be more responsive to the idiosyncratic needs of the students with whom they are working. Small group instruction can be just as effective as one-to-one instruction for children without severe reading difficulties. Even with a solid Tier-2 small-group reading program in place, there will still be a very small number of students who "fail to thrive", perhaps about 3-5 per cent of all Year 1 students. These are the students for whom we should reserve Tier 3 one-to-one intensive reading instruction, preferably with a specialist reading teacher with a sound background in special education. The same five big ideas are still critical. What is different, of course, is the intensity of instruction. Having successfully taught the vast majority of Year 1 students the basics of learning to read by Tier 1 and, where necessary, Tier 2 small-group teaching, it is a far more manageable proposition to provide these few remaining students with the individual reading support that they will need, for as long as they need it. With this three-tier model in place, predicated upon scientific evidence-based reading instruction, almost all, if not all, children will become proficient readers. Of course, the RtI model does not stop at the end of Year 1; it is important to monitor reading progress closely for all students, especially for the first three years of schooling. But by employing these procedures rigorously and teaching scientifically, it is not too much to expect very nearly all of our children to learn to read. Kevin Wheldall is chairman of MultiLit Pty Ltd and director of the MultiLit Research Unit. During the three years (1993-1996) Samantha Power spent covering the grisly events in Bosnia and Srebrenica, she became increasingly frustrated with how little the United States was willing to do to counteract the genocide occurring there. After much research, she discovered a pattern: "The United States had never in its history intervened to stop genocide and had in fact rarely even made a point of condemning it as it occurred," ... Debunking the notion that U.S. leaders were unaware of the horrors as they were occurring against Armenians, Jews, Cambodians, Iraqi Kurds, Rwandan Tutsis, and Bosnians during the past century, Power discusses how much was known and when, and argues that much human suffering could have been alleviated through a greater effort by the U.S. She does not claim that the U.S. alone could have prevented such horrors, but does make a convincing case that even a modest effort would have had significant impact. Based on declassified information, private papers, and interviews with more than 300 American policymakers, Power makes it clear that a lack of political will was the most significant factor for this failure to intervene. Some courageous U.S. leaders did work to combat and call attention to ethnic cleansing as it occurred, but the vast majority of politicians and diplomats ignored the issue, as did the American public, leading Power to note that "no U.S. president has ever suffered politically for his indifference to its occurrence. It is thus no coincidence that genocide rages on." Goodwin makes the case for Lincoln's political genius by examining his relationships with three men he selected for his cabinet, all of whom were opponents for the Republican nomination in 1860: William H. Seward, Salmon P. Chase, and Edward Bates. These men, all accomplished, nationally known, and presidential, originally disdained Lincoln for his backwoods upbringing and lack of experience, and were shocked and humiliated at losing to this relatively obscure Illinois lawyer. Yet Lincoln not only convinced them to join his administration--Seward as secretary of state, Chase as secretary of the treasury, and Bates as attorney general--he ultimately gained their admiration and respect as well. How he soothed egos, turned rivals into allies, and dealt with many challenges to his leadership, all for the sake of the greater good, is largely what Goodwin's fine book is about. Had he not possessed the wisdom and confidence to select and work with the best people, she argues, he could not have led the nation through one of its darkest periods. why have our governments ignored expert advice on reading for a decade? These are not new questions. In March 2004, The Australian published an open letter addressed to Dr Brendan Nelson, then Minister for Education, Science and Training, signed by 26 senior people in the fields of psychology, education, speech pathology, audiology, and linguistics, expressing concerns with literacy levels in Australian children and especially concerns with the way in which reading was typically being taught in Australian schools. The letter asked the Minister to commission a review of the approaches to reading instruction adopted in Australian schools. The report made 19 recommendations for actions to deal with dyslexia in the Australian population. One of these was that in all teacher-training courses teachers should be made fully familiar with the research on how children learn to read, why some children find it so difficult, and how such difficulties can best be treated. In September 2012 the Dyslexia Working Party received a Federal Government response to its report, over the signatures of the Minister for School Education, Early Childhood and Youth and the Parliamentary Secretary for Disabilities and Carers. This response indicated that the Government proposed to take no action on any of the Working Party’s 19 recommendations. So Federal Governments have known about this problem for nearly a decade, and have received advice from two independent committees of investigation about how to deal with the problem. This advice has been ignored. And so the results from PIRLS showing that so many Australian children are now very poor readers, though certainly disappointing, are not surprising to anyone who examines what happens in schools, and compares it to what research has clearly shown to be effective in promoting successful reading development. The 2005 National Inquiry into the Teaching of Literacy (NITL) pointed to, and urged us to follow, the direction towards evidence-based practice taken recently in both Great Britain and the USA following national reports compiled by eminent experts in reading development. However, little productive change has eventuated at the policy level, much less at the classroom level. Indeed if the recommendations of the NITL were adopted, wholesale retraining of teachers would be necessary to provide them with the understanding of literacy not presented to them in their own teacher training. We have significant problems in education from the beginning stages, in that we do not teach reading well. We do not use approaches known to be effective in initial reading instruction. As a nation, we do not routinely screen students entering school for underdeveloped pre-reading skills critical for facilitating learning to read, nor do we monitor student progress in learning to read in a manner that allows for successful early intervention with students failing to progress. We do not redress our early system failure during the middle primary years. In the secondary years, we have a significant group of disillusioned students who have lost contact with the curriculum because of these earlier issues. We tend to focus attention and resources upon compensatory educational options instead of emphasising the resolution of our earlier mistakes. The sequence of initial failure-shame-frustration-disengagement-dropout is predictable and ongoing. Currently, it is being addressed piecemeal, as if they were separate problems. We need a vast shake-up at all levels of teacher training. By turning our gaze to educational practices supported by empirical research we can make optimum use of our resources to complete the task with effectiveness and efficiency. We, as a group of concerned reading scientists, clinicians and educators, urge your immediate attention to what has become a national disgrace. Who's that talking to Bess? 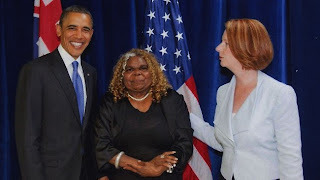 ON Monday, two US consulate officials flew from Melbourne to Alice Springs to see Warlpiri woman and newly elected Northern Territory MP Bess Nungarrayi Price. For a while they talked Northern Territory politics, not that unusual a topic given Ms Price has long dealt with US officials and met US President Barack Obama in Darwin last year. The conversation soon took a surprising turn when they said they wanted to nominate her to become the first Australian woman to receive the US International Women's Courage Award. 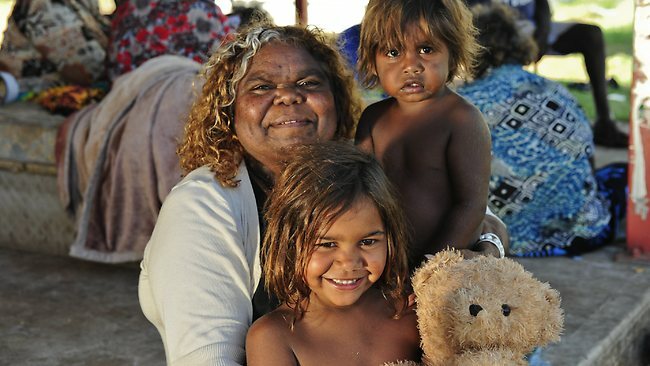 Ms Price, a firebrand campaigner for change in Aboriginal communities, was floored. Here were two US State Department officials saying to a Warlpiri woman born and raised in a humpy, "We think you are an amazing woman". The 2011 movie about the death of Cameron Doomadgee in police custody on Palm Island was shown on the new NITV channel recently. I haven't read the (award winning) book. I was persuaded by the movie that Chris Hurley killed Doomadgee and that a cover up was orchestrated and the whole of Queensland Police force voted loudly to support that cover up. The picture is of Cameron's sister, Elizabeth, who is one of several outspoken and articulate family members featured in the film. An interesting aspect was that Chris Hurley had worked for many years in a variety of indigenous communities and clearly had done good things in those communities. The only explanation I could think of was that over many years the pressure of working with dysfunction grew on him and eventually he snapped. The issue of aboriginal community dysfunction, through alcohol abuse, is also covered in the movie. Doomadgee was drunk when he initially swore at Hurley. The indigenous witness, Roy Bramwell, was drunk and his testimony was unreliable. Cameron’s lawyer Andrew Boe spoke of entering another world unlike any other he had encountered once he arrived on Palm Island and encountered the conditions in which indigenous people lived. In that sense it is a story of double corruption. The other corruption was the failure to deal with the conditions where it became "normal" for aboriginal people to be drunk in the middle of the day.